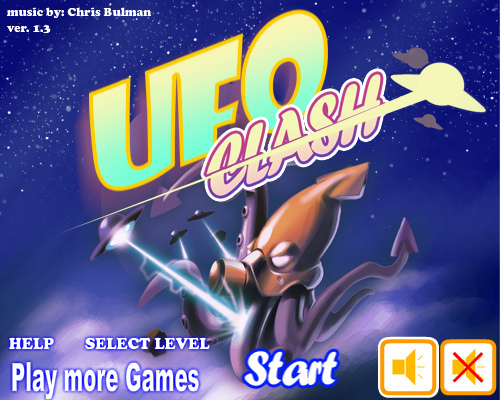 Description Keep the UFO flying as long as you can, avoid asteroids and shoot to aliens and junks. Keep pressed the left mouse button then choose a direction. Release the button to launch the ufo. Use the UP/DOWN arrows keys to move up/down the ufo. You can also click on the up and down circles on the interface. Use RIGHT arrow key or click on the front circle to shoot against the enemies.